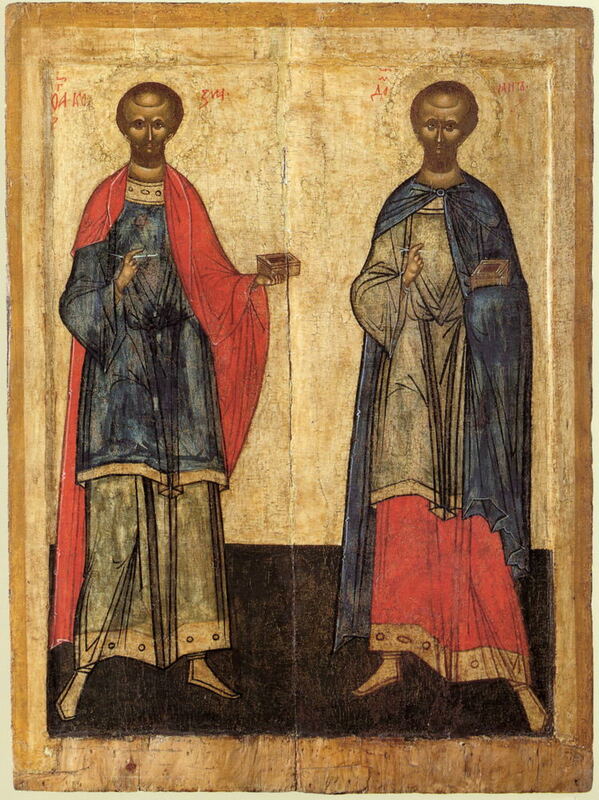 Holy unmercenaries and wonderworkers, Cosmas and Damian, / heal our infirmities. / Freely you have received; freely you give to us. Having received the grace of healing, / you grant healing to those in need. / Glorious wonder workers and healers, Cosmas and Damian, / visit us and put down the insolence of our enemies, / and bring healing to the world through your miracles.